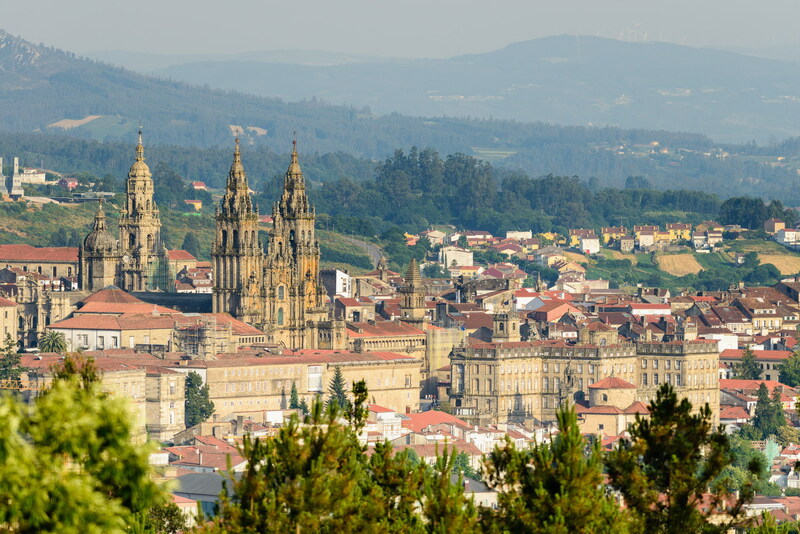 We are very excited about one of our new properties in Galicia – GLOB1 Casa Lucinda, and even more so after reading this review from someone already hooked on the house and this lovely part of Galicia between A Coruna and El Ferrol – nothing better than first hand experience! 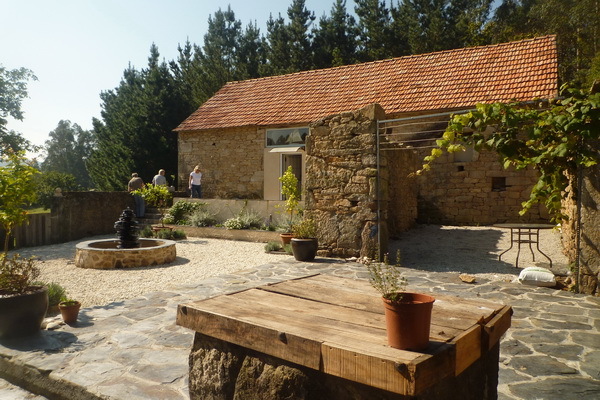 “We have had 2 wonderful family holidays at Casa Lucinda – our third is this August. Lucinda has always given us a very warm welcome and the grandchildren, and their friends, feel part of her family. They love the open space and the fact that they can roam around in the woods and play football in the field beside the barn. The fresh water swimming pool is only a 7 minute drive away through the eucalyptus trees. A daily must in our case even if they had been to the beach. 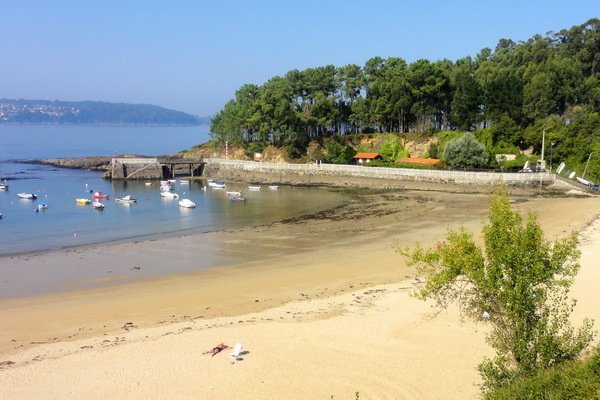 The coastline of Galicia is varied and has some of the most marvelous beaches and bays. Further north, under an hours’ drive, are advanced surfing beaches and surfing schools for the more experienced. There is plenty to do, excellent places to eat in and around Mino which is only a short drive away. Mino beach, with sand dunes behind, has a surfing school for young beginners which the grandchildren made the most of. 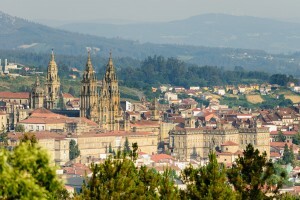 Santiago de Compostela is an hour away. It is a fascinating place – anyone wishing to go to the magnificent Cathedral of St James should make an early start as it does get very crowded. The surrounding narrow streets are full of small typical Spanish/Galician restaurants and of course there is some very good shopping to be done in the main square. 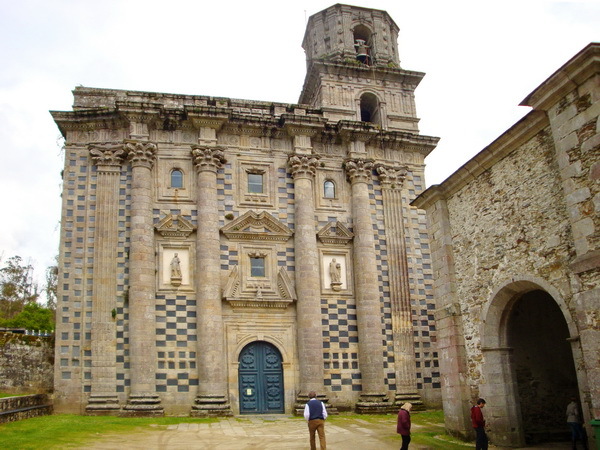 The nearest Monastery is at Monfero. It is tucked into the scenery and comes as a surprise when you first come across it. After a visit to the monastery you can then pick up the signs to the kayaking lake. This was something of a favourite. Although it’s best to take a picnic lunch don’t take too many heavy baskets as there is a short but steep walk down to the lake from the car park.